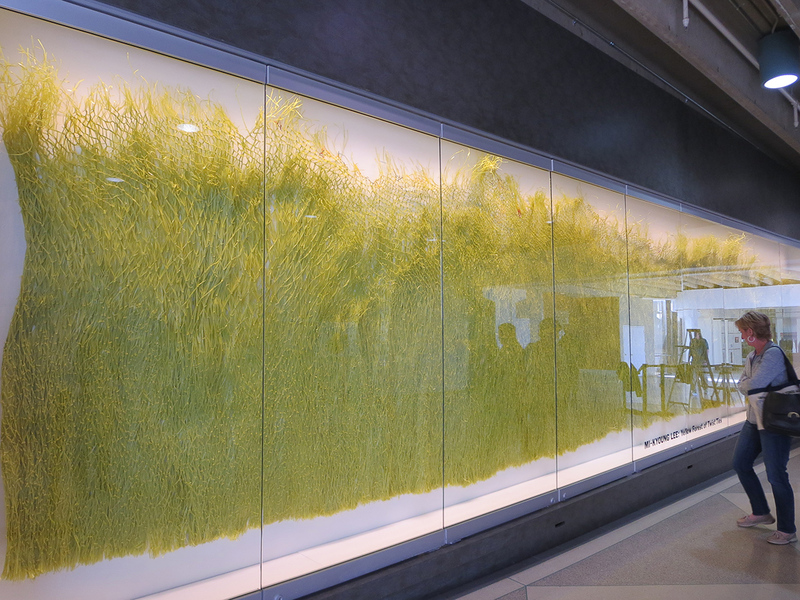 Yellow Forest II by Mi-Kyoung Lee, on display at the Wayne Art Center’s Making Marks exhibition, is a section of the larger Yellow Forest at Terminal E, Philadelphia International Airport. 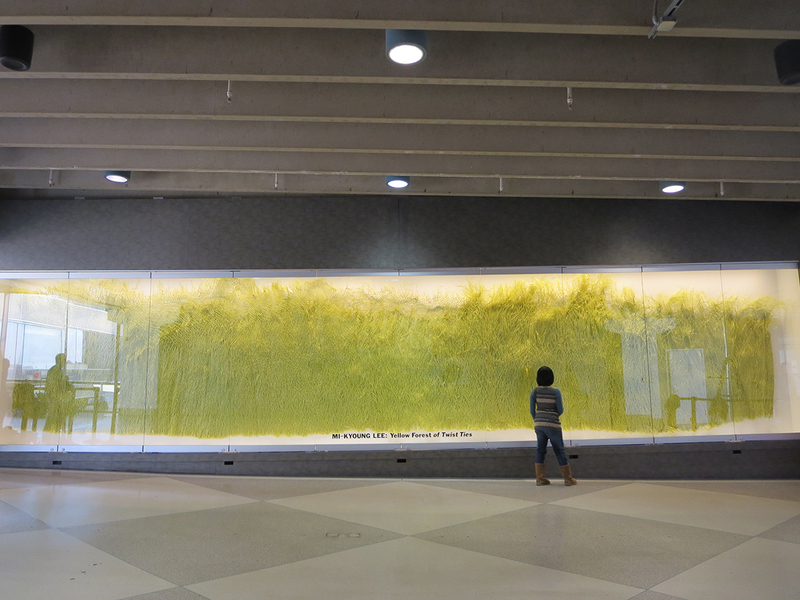 The work size is 40 feet wide and 9 feet tall. This show will continue through May 2017.